Honda Pump WSP53 with 70 gallon per minute pumping capacity is perfect for jobs such as basement draining and garden irrigation. 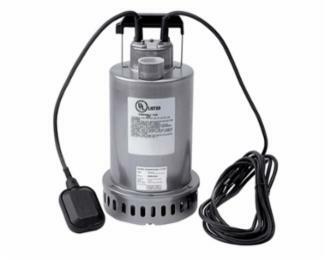 Enclosed in a lightweight, durable, stainless steel casing, this submersible water pump offers superior performance without rusting or corroding. An automatic, non-mercury float switch also provides convenient automatic starting, while a continuous use rating lets you run this Honda pump 24 hours a day, 7 days a week. * Ideal for draining basements, window wells, garden irrigation, decorative fountains, etc.